Must be at least 5 years of age to tube! 12 and under require a lifejacket! Tube Rental Deposit: your car keys, drivers license or $20.00/tube. Children must be 5 years of age and accompanied by an adult. Life jackets are required for tubers 12 and under and non-swimmers. THERE ARE NO LIFEGUARDS ON DUTY! Please watch your children at all times. We suggest a 1 to 1 ratio of adults to younger children for their safety. Footwear that stays on your feet is highly recommended. Flip flops will most likely be donated to the river. Water shoes are the best option for a having a good experience at Coal Tubin’. Above rates include one shuttle, and all day parking. Tube Rentals are good for all day. Additional shuttle trips are $5 per trip/per person. Groups of 10 or more should call in advance (814) 254-4393! We don’t take reservations but appreciate a heads up! Operation times are weekdays from 12:00pm until 4:00pm, weekends and holidays from 11:00am until 4:00pm. You must be at Coal Tubin’ before 4:00pm, that will be the last shuttle to the drop off point. Lifejackets are required for those 12 and under. You can rent one from us for $5.00 or bring your own. When the river is below 3 ft (we will go down to around 2.8) we will be running the lower route. It takes about an hour and a half but you can shuttle as many times for free as you’d like, so you get your money’s worth. The water is too low through the middle section, and trust us…you would not enjoy it! This shorter run ensures that the water level is sufficient to make it down with minimal rock obstructions. When the river is above 3 ft we will be running the full run, which can take anywhere from an hour to 3 hours depending on water level. Check the release schedule on our homepage. On release dates we will be running the full run from 11:00pm – 4:00pm when the water hits. Please Check our Facebook page for the most current updates. Sometimes releases don’t happen on scheduled dates due to the Que water level. Check out our FAQ section for more tubin’ questions answered. Here are all of the tubes that we currently use. Specialty tubes are available for an upgraded price. These are our standard river tubes that are included in the purchase price. 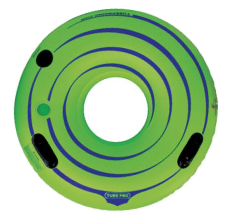 These are our standard child river tubes that are included in the purchase price. They are smaller with a bottom in them, which makes them perfect for smaller tubers. Cooler tubes are great for transporting your filled cooler down the river with you! 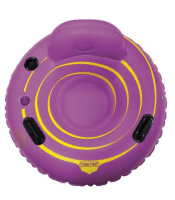 The same size as our regular river tubes, but with a back, cup holder, and bottom. Big Green is much larger than our regular sized river tube. It also includes a cup holder! 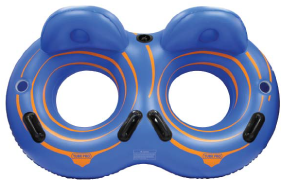 Double Blue is a two person tube with backrests and cup holders for double the fun! 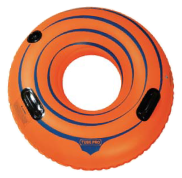 Stonycreek rafting, river tubing, swimming and river activities have both inherent and unknown risks and dangers. These include but are not limited to injury or loss of life. The Stonycreek river has NO LIFE GUARDS, so try to stay in your tube. You will be asked to sign a waiver and release of liability for yourself and anyone else in your group before tubin’ down the river. Children MUST be 5 (five) years old to go tubin’ with Coal Tubin’ – Parents & Guardians – you are 100% responsible for yourselves, your children and others in your party at all times. If you don't know how to swim, wear a lifejacket. The water can be up to 10ft deep in places. Opening day for River Tubin’ is Saturday, May 25th. We are open for White water activities at this time. Buy your season pass now at a discounted rate here.